Tai Won Mein serves a variety of authentic Chinese mains, sides and drinks. 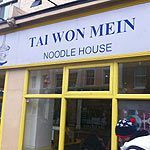 Do you work at Tai Won Mein? What did you think of Tai Won Mein?